While all of these numbers are fascinating, Ed and Ethel Miller’s number is perhaps the one most worth celebrating during this season of love. Ed, who is from Ohio, first met Pennsylvania native Ethel while performing charitable public health work in Missouri during the 1940s. They spent their first date at Bayou Bernard, where they walked and talked while getting to know one another. They even held hands on this first date! 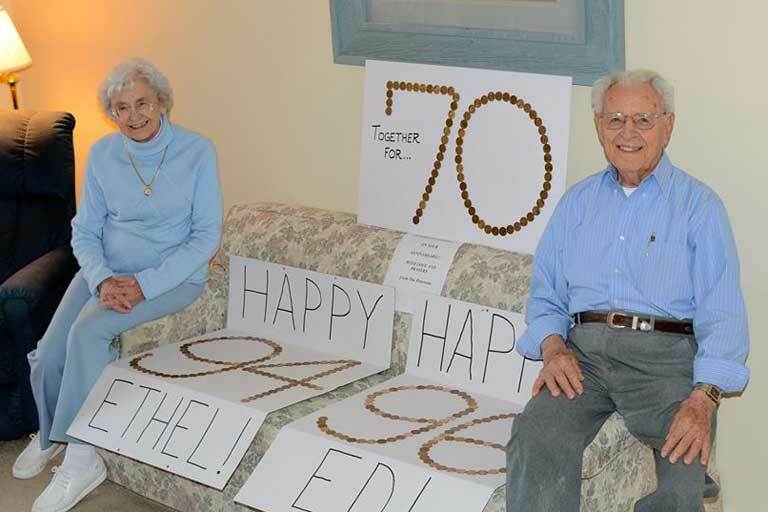 Ed and Ethel soon discovered they had a great deal in common, including the same birthday. While they were born two years apart, they were both born on Nov. 25. It became a rather fond joke of theirs that if they ever decided to get married, they would do it on their birthdays. On Nov. 25, 1948, they did just that, marrying in Lancaster, Pennsylvania. The Millers were unable to afford a honeymoon, so after their wedding, they packed up all the gifts they received and drove from Pennsylvania back to Mississippi. It was there that they made their first home. Ed served as an ordained minister. That position was unpaid in those days, so he had to work as a builder when not at the church. Ethel worked as a registered nurse. Soon, Ethel gave birth to twin boys. Four years later, they had another son, and a fourth son was born nine years after that. 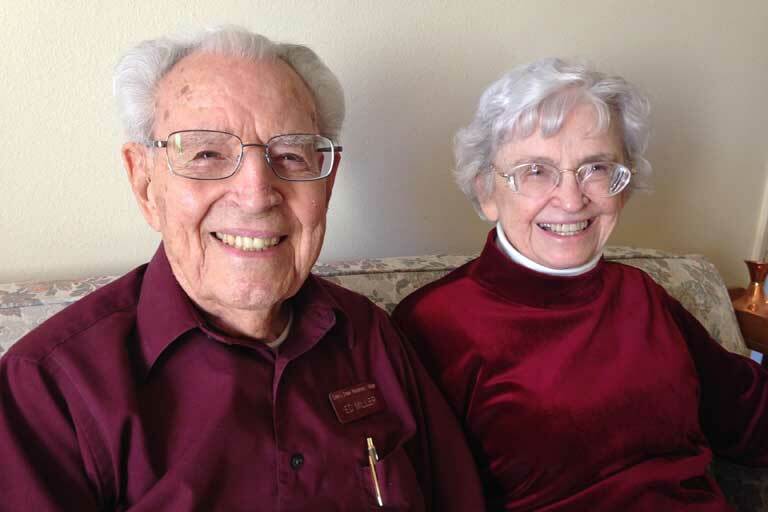 Today, Ed and Ethel have retired to Cherry Creek Retirement Village in Aurora, Colorado, where they celebrated their 70th wedding anniversary together in November. It was also Ed’s 96th birthday and Ethel’s 94th birthday. As part of the celebration, another resident made three posters for them – one for their anniversary (with 70 gold $1 coins) and one for each of their birthdays (with 94 and 96 gold $1 coins)! It was a beautiful celebration, and the Millers shared that the secret to the longevity of their love is not a secret at all – it is because they have the Lord Jesus as the center of their lives.